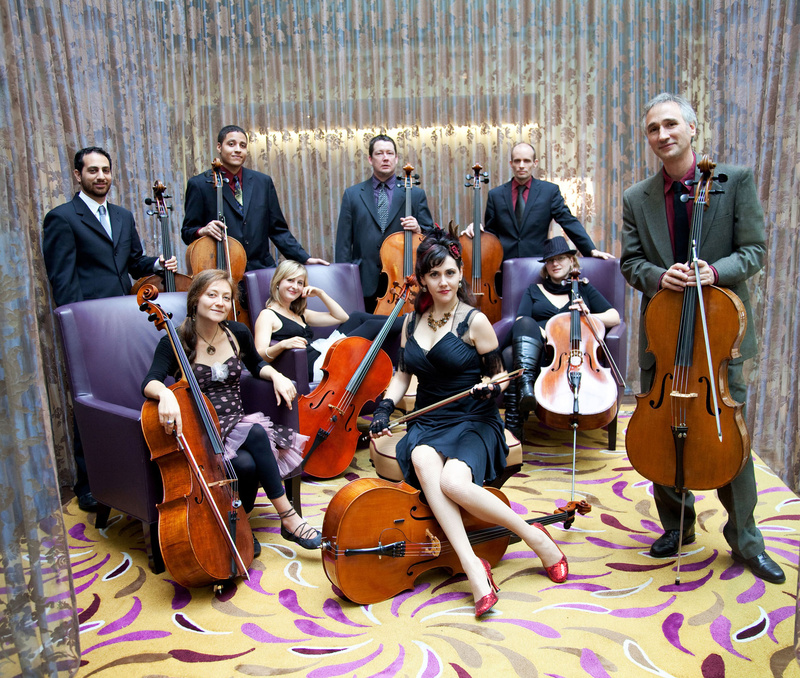 Portland Cello Project plays two shows in Spokane this weekend. Cost: $20; Saturday’s show is sold out. Tickets are available at http://thebartlett spokane.com. If you were to glance at a regular set list from the Portland Cello Project, you’d see a lot of names that aren’t (for good reason) grouped together often – Johann Sebastian Bach, Pantera, Britney Spears, Radiohead, Dave Brubeck. But that eclectic mix of artists somehow makes sense as transformed through the bows and strings of the Cello Project, an ever-changing collective of Northwest cellists that aims to change your mind about the stylistic limitations of its titular instrument. The group’s newest recording, “to e.s.,” is a 12-song tribute to late singer-songwriter Elliott Smith, who first rose to prominence while living in Portland in the late ’90s. The album features six Smith covers, including “Between the Bars” and “Needle in the Hay,” along with six original compositions inspired by Smith’s work. While Smith’s morose melodies are perfectly applicable to the tones of the cello, what’s especially surprising is how successfully the Portland Cello Project is able to translate hip-hop into their symphonic arrangements. A typical Cello Project show is a high-energy collage of sounds and styles – hit up YouTube and you can see their original renditions of Duran Duran’s “Rio,” the Notorious B.I.G.’s “Juicy” and Led Zeppelin’s “Kashmir.” This particular tour will feature five cellos and a drummer, and you’ll hear snippets and segments from a couple dozen songs you’ll likely be familiar with.